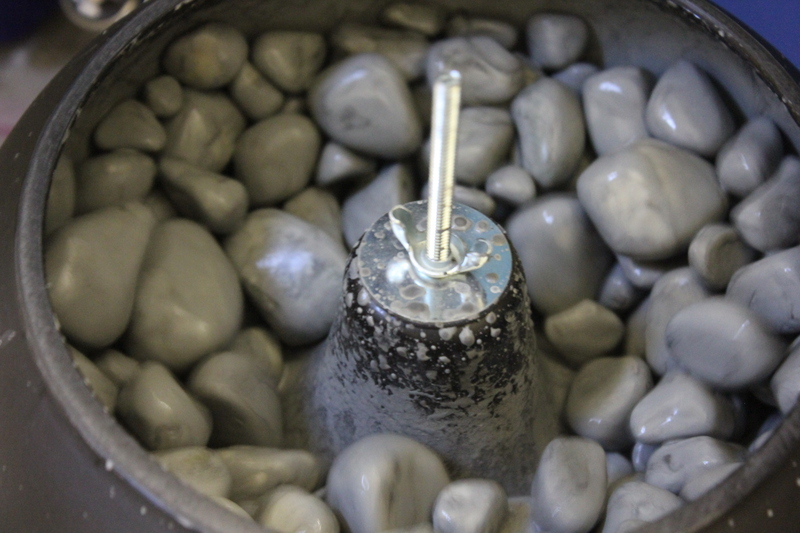 My wheels of industry are cranking – both my Lortone rotary rock tumblers and my Thumler vibratory rock tumbler are set and going to work on some of my BC rocks. This is my 4 lbs rock tumbler barrel with a load of Vancouver Island Dallasite that has gone through one coarse grind already. I’m doing another round because these pieces still have pits/cracks/fractures. Rough Vesicular Opal from Vancouver Island. These basalt rocks contain small common opal/potch spots that if not too porous can shine up. This is one of my 6 lbs barrels. 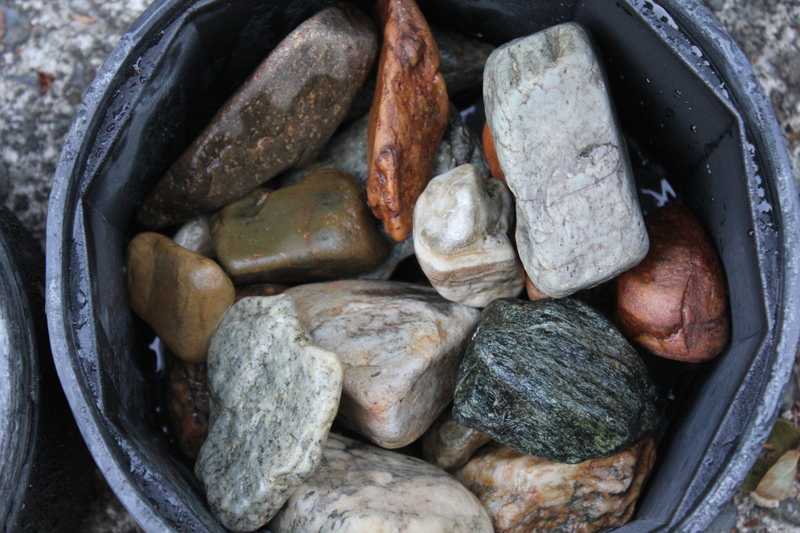 My other 6 lbs barrel (I run the Lortone QT66 rotary rock tumbler, which has two 6 lbs barrels) is filled with some bigger chunks of petrified wood, or at least rocks that look wood-ish to me. This is a good example of throwing kinda ho-hum rock into the barrel and maybe getting a pleasant surprise on the other end. Can’t wait to see if any of these turn out! These are my Lortone rotary rock tumblers, with the QT66 in the foreground and smaller model in the back. 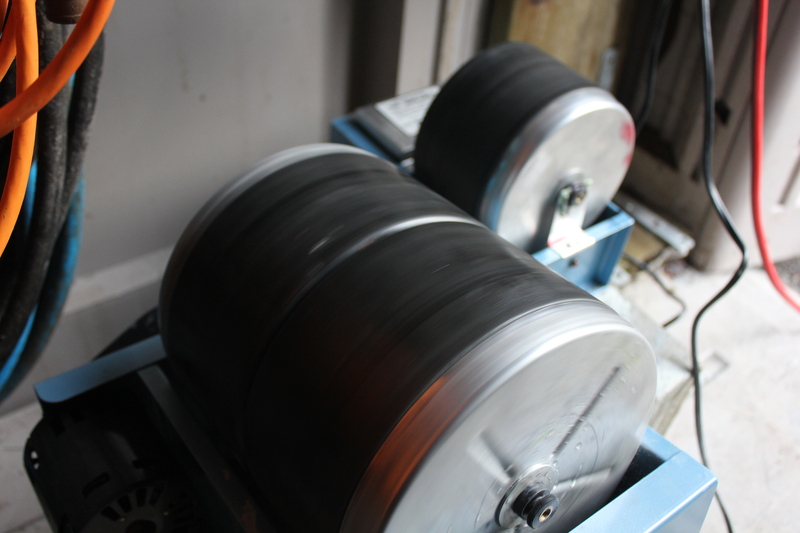 And for the first time, I got the inspiration to set up my Thumler UV10 Vibratory Rock Tumbler. 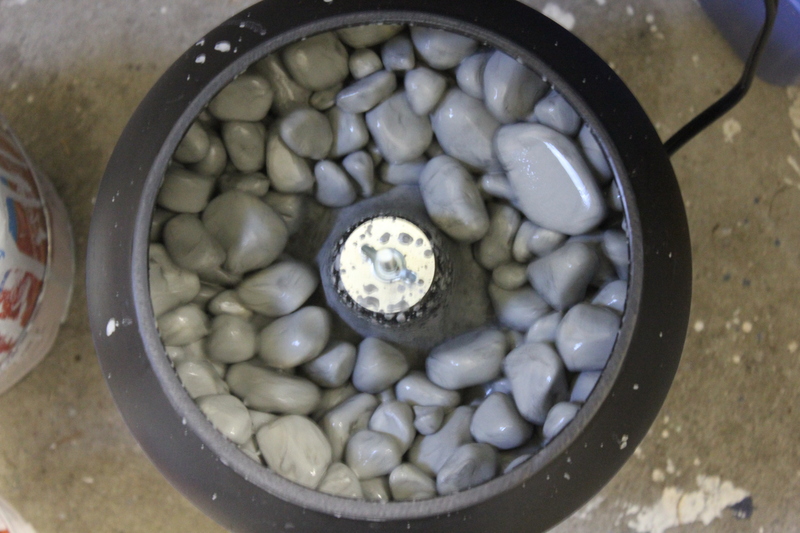 I’m using the rotary tumblers to grind rocks down with coarse grit to the shape I want, then switching them to the vibratory tumbler to speed up the next few stages until they’re polished. 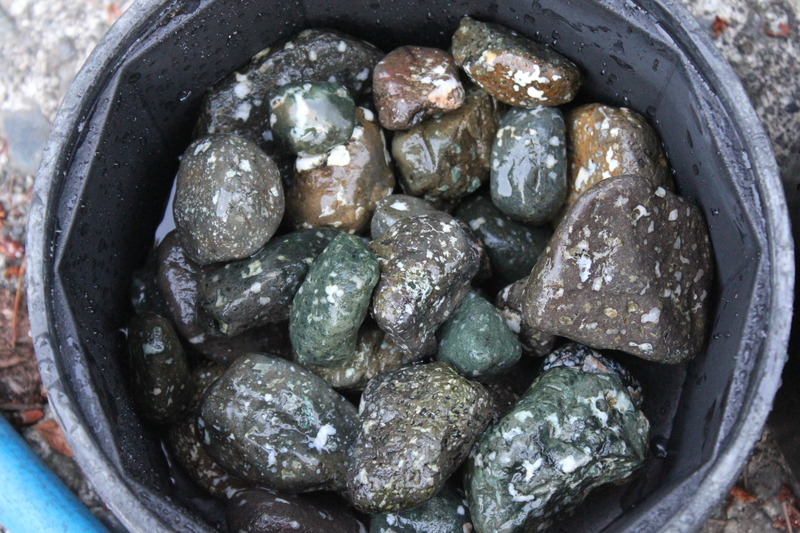 My vibratory tumbler took a load of Vancouver Island Dallasite. It’s definitely louder than the rotaries! With the lid off, the vibratory tumbler sounds like a construction site, whereas with the lid on it sounds more like the engine room of a boat. I can barely hear my rotary tumblers from outside my shed. 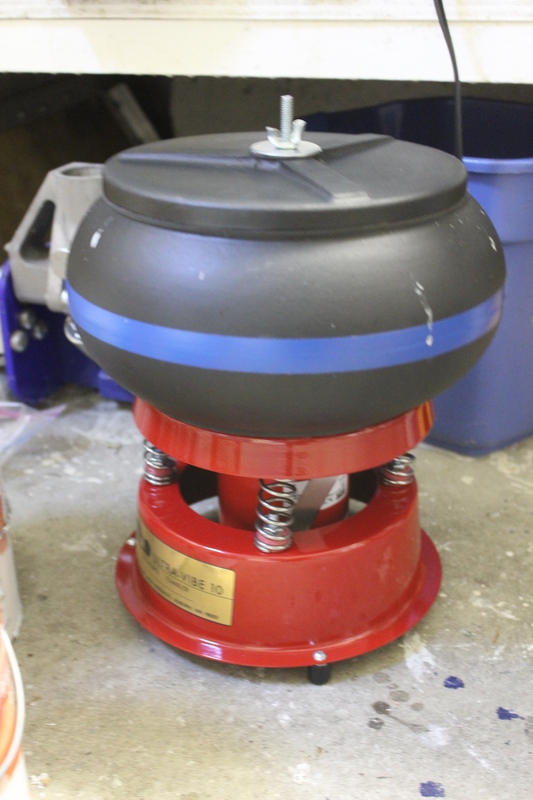 This is the Thumler UV10 vibratory rock tumbler I picked up to do the medium grit to polish stages for my rocks. The general suggestion seems to be use rotary rock tumblers for coarse grind to shape the rocks down, then switch to vibratory rock tumblers for the next stages as they are much faster and get a better shine. A top-down shot of my Thumler UV10 Industrial vibratory rock tumbler. 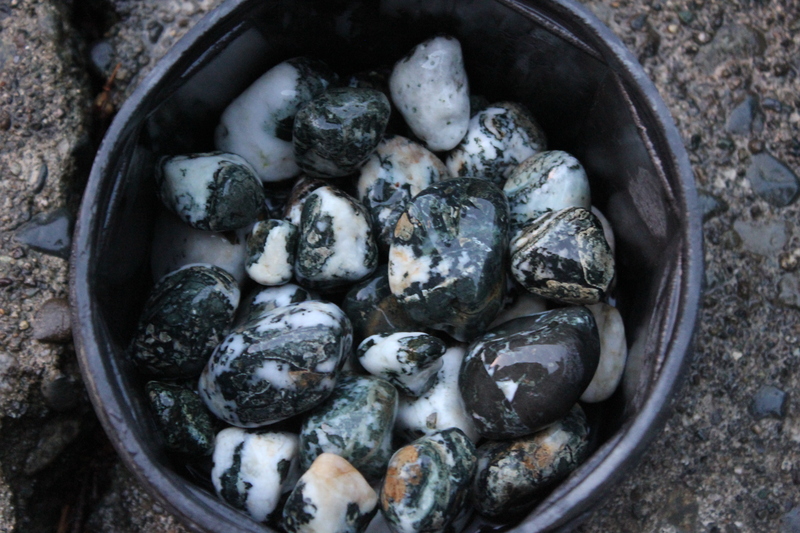 The rocks vibrate and move their way up the walls, then tumble into the middle and slowly go round and round the bowl. My Thumler UV10 Industrial version vibratory rock tumbler in action. This load is all Dallasite jasper breccia from Vancouver Island, with I think one Flowerstone. The rocks in here have already gone through coarse grind in my rotary tumblers. Thanks for looking! I can’t wait to finish polishing my first batch of rocks.